Mifepristone and Misoprostol are pregnancy termination pills used for ending an uneventful pregnancy up to 63 days gestation. Though there are many such other abortion pill combinations such as Mifeprex, Cytolog, etc, Mifepristone and Misoprostol are the most trusted among the rest. The cost of Mifepristone and Misoprostol abortion pills are affordable for most women belonging to even the middle class. If one wishes to still reduce the price of the pills, MTP kit is a great option for them. Finding safe abortion pills online is very crucial to make sure that nothing goes wrong while ending the pregnancy at home. For this, the user has to ensure that the abortion pills are safe to use, effectively make it to the successful abortion procedure. For ending a pregnancy in the first trimester, firstly, its development has to be stopped. Anti-progesterone elements can help stop the growth of first-trimester pregnancy. 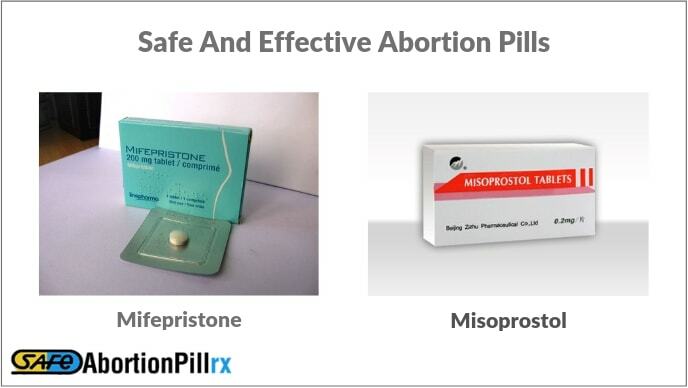 These elements are present in the Mifepristone abortion pill and hence the pill has a key role in ending an unwanted pregnancy through medication. A dosage of 200 mg ( 1 tablet) is enough for medical abortion up to 9 weeks. When the pregnancy is stopped with the help of Mifepristone, Misoprostol abortion pill ejects the pregnancy tissues from the body and completes the process of pregnancy termination. To remove the pregnancy tissues from the body, one has to bring contractions in the uterine lining which can be done with the help of prostaglandin elements. The Misoprostol abortion pills hold these prostaglandin elements for contracting the uterus, which eventuates to vaginal bleeding and cramping. While the cramping lasts for a few hours, the bleeding can be there for around 2-7 days. This can depend on the pregnancy weeks and how your body reacts to the medicines. Misoprostol pills with 800 mcg (4 pills with 200 mcg each), can be adequate enough to work on pregnancy with up to 63 days of gestation. When you are undergoing the medical abortion process, make sure you bleed within 24 hours because that’s an important symptom involved in the process. You should see your doctor if you do not begin bleeding within 24 hours or even if you bleed for more than a necessary period. Bleeding is not considered as the side effect of the procedure. The side effects of abortion pills are different including nausea, vomiting, fever, diarrhea, etc. However, they are not a major concern as they are temporary in nature. The drug combination is available on many online and local stores. You can also go with the MTP kit option which allows you to have the combination in one kit. In fact, the Medical Pregnancy Termination kit is usually available at a comparatively lower price than buying the two abortion pills separately. This entry was posted in medical abortion and tagged abortion pills online .